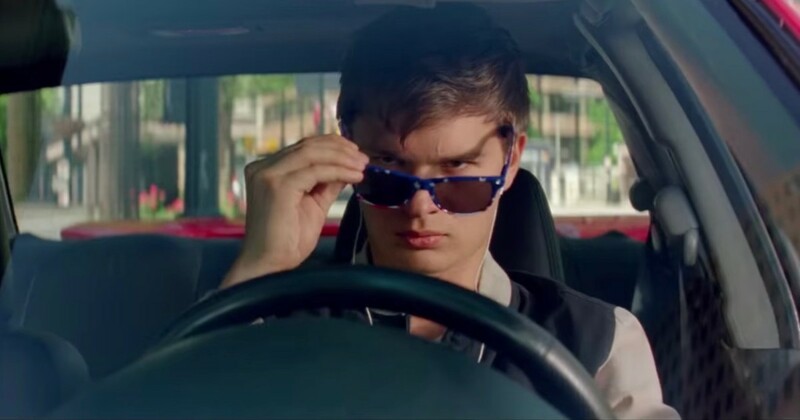 Sounds very childish for Ansel Elgort’s “Baby” character, but the story seems a bit decent for a relationship between a music-loving kid and a crime boss (portrayed by Kevin Spacey, The Usual Suspects), who was a also a veteran criminal, to tackle each criminal task there is in the city without being noticed by cops. Baby, as a getaway driver, also works with couple of crime gangsters who will take down every robbery throughout the entire course (portrayed by Jamie Foxx, Jon Hamm, and Eiza Gonzales) until they discovered Baby’s tape-recording confessions from them and his boss. It’s funny how Baby the driver has done some spectacular stunts on highways and traffic roads and manage to get himself and team away from noticeable cops from banks to post offices. During the midst of the film, Baby falls in love with the diner waitress (portrayed by Lily James, Cinderella) and romance blossoms like back in Alec Baldwin’s “The Cooler,” but never forgets his deal with his boss and his caring for his foster dad, which I called the character the “silent Morgan Freeman,” who was concerned about his adopted son. Later on, Baby betrayed the gangster group and his boss since I believed he had lots of emotions and good things to come in his heart. The most concerning part was that Baby finally went to jail at the end but later got released. This film was amazing as the film contains lots of wonderful action sequences and some scenes that look very familiar and nostalgia based on “The Fast and the Furious” series, “Whiplash,” “The Cooler,” “The Godfather” and “Goodfellas.” I like Kevin Spacey’s performance just like Joe Pesci, Alec Baldwin, and Donbot from Futurama. The music and the direction seems perfect as well as the casting for their roles in such high-tailed levels and adventures of mishaps. I love how Spacey’s character mentioned “Monsters’ Inc.” as he knows what friendship deals with and I know Spacey previous appeared in the Disney-Pixar classical film, “A Bug’s Life,” whereas he voiced Hopper, the main antagonist of the film. Overall, the film is pretty much delightful, but I won’t say it’s not too horrible when I see how the Baby character had turned out before or after the events of this film. If you’re a fan of high-speeding films, maybe you should watch it.